New Democracy leader Kyriakos Mitsotakis explained why his party will vote down the Greece-FYROM Prespa Agreement when it is tabled in the Greek Parliament for ratification to visiting German Chancellor Angela Merkel, who fervently supports the agreement and expressed gratitude to PM Alexis Tsipras and FYROM PM Zoran Zaev for concluding it. Mitsotakis stressed his political-ideological kinship with Merkel, beyond the deep disagreement on the FYROM naming issue. 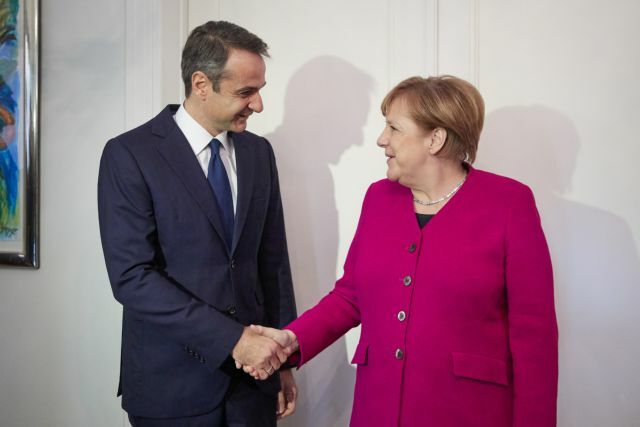 Mitsotakis said that aside from Skopje the focus of his discussion with Merkel was the Greek economy. He said that “some in Brussels insist on prettifying [Greece’s economic problems] for the sake of fleeting impressions”. Mitsotakis stirred a political maelstrom recently when he said that many Greeks believe that Greece’s European partners allowed PM Alexis Tsipras to scrap legislated pension cuts in return for concluding such an agreement. 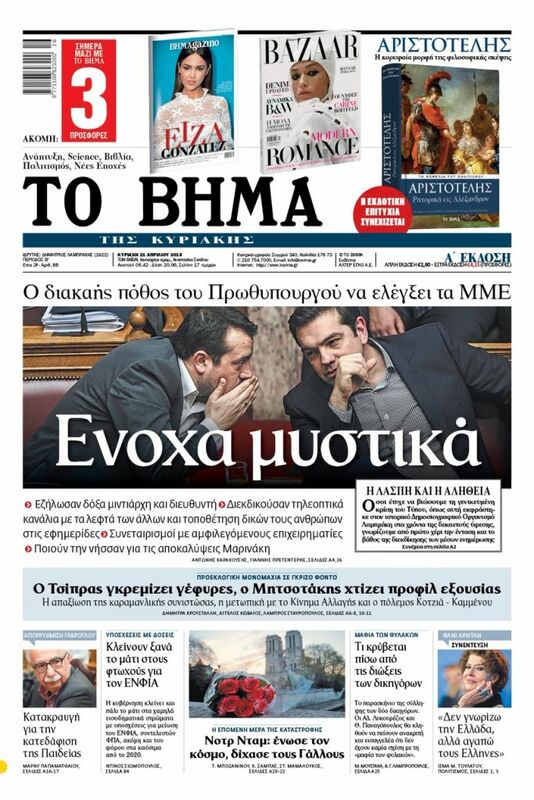 Asked at a joint news conference with Tsipras yesterday whether the quid pro quo claim was true, Merkel in a peremptory manner dismissed it saying that she did not know why she would have address such a question, clearly implying that it was nonsense. The talks also touched on tax cuts that ND has proposed, attracting investment, and continuing on the path of structural reforms. As regards the issue of refugees and migrants, Mitsotakis stressed the need for strict border policing and reforming the asylum procedure so as to transfer people from the Aegean islands to other locations.